Premise: Two teams of four players (3 celebrities and 1 civilian) compete in a series of five games. The team with the most points at the end of the fifth round wins the game and advances to the bonus round. In the Celebrity Name Game bonus round, the winning contestant will pick one celebrity as their teammate. The chosen celebrity will have 90 seconds to get the contestant to guess 10 celebrity names correctly by using clues. For each name the contestant guess correctly, both partners will each receive $1,000. If the contestant can guess 10 names correctly, they will win $25,000 and the celebrity will win $10,000 for their selected charity. Unlike the 70s and 80s, it’s rare to find good celebrity game shows nowadays. 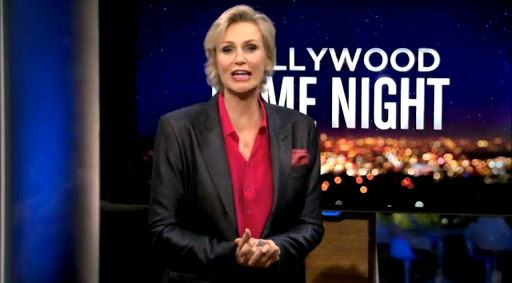 Hollywood Game Night is a great attempt to bring back the specific genre to television. Although the set seems a bit cramped, I love how the show is setup in a casual, home environment as if the viewer is sitting in the living room watching the game play live. It’s similar to the set design of Win, Lose or Draw and Pictionary. Adding an official band, the Dean Butterworth and Scorekeepers, to the show is a nice touch and something that you wouldn’t expect on a game show nowadays. One would expect to see a live band on a game show like The Winner Is, but I digress. 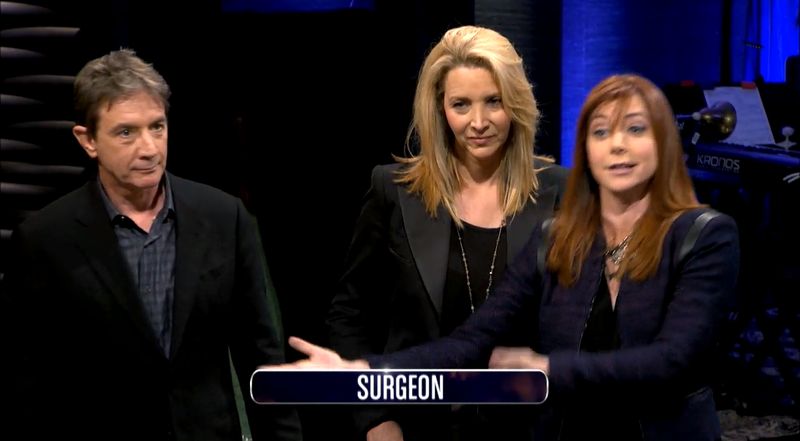 You can tell the production staff worked overtime to make this show concrete and exciting by the creative, fun and amusing mini-games that were created for Hollywood Game Night. These games cover all the vital dimensions for excellent, optimal gameplay by testing the contestants’ speed, strategy, knowledge, skill, luck and perception. One of my favorite games of the night was “Take A Hint”, where the object is to get your partner to guess a word by each partner using only one one-word clue. It reminded me of the same skills contestants needed to succeed in past game shows such as Go, Password and Pyramid. 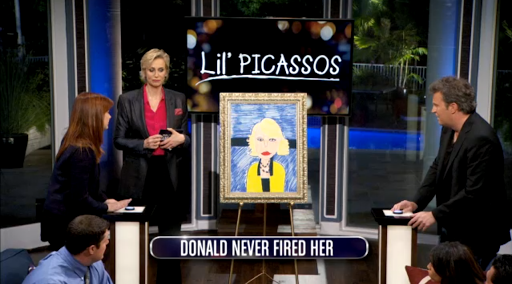 As the host, Jane Lynch is doing an excellent job of emceeing this show. Her genuine excitement and energy, her ability to engage well with the contestants and celebrities as well as establishing order to get the show back on track when needed makes the show enjoyable to watch. I also applaud her honestly when it comes to the players’ performance. I like the fact that she doesn’t mind letting contestants know (in a joking manner) that they played horribly in a round, as you might have seen on last night’s show when Amy’s Team only managed to guess one word right in 90 seconds during the “Take The Hint” round. This is the same bluntness you may have seen Match Game with Gene Rayburn, or even currently with the 2013 Catch Phrase revival with Stephen Mulhern. Besides the small set, the only other problem I have with this show is the ratio of celebrities to civilian contestants. The 1:1 ratio has been a proven success and the 2:1 ratio has also worked in the past. The 3:1 ratio Hollywood Game Night uses is overkill. Because there are a lot of celebrities present, the viewers might forget that there are actual civilian contestants competing on the show and they are easily shadowed by the stars’ personalities. This show would function better under a 2:1, or even a 2:2 celebrity-to-civilian ratio. 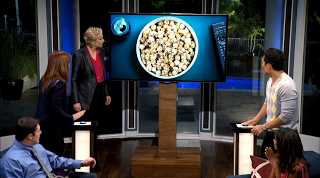 Overall, Hollywood Game Night is a great summer game show to watch. It gives regular people a chance to mingle with A-list celebrities and an exclusive opportunity to see them in a different light. With a solid grand prize, a great cast of household celebrity names and excellent gameplay that is fun to play-along at home, Hollywood Game Night has the potential to become a staple for NBC’s future summer lineups. It’s also a huge sigh of relief to see an NBC game show not spoiling the show with ridiculous, aggravating teasers and abruptly sending the show to a commercial break without the host informing the viewers of doing so. I believe this show will last for at least three seasons. The first episode is now available on NBC.com. I’d suggest you check out if you haven’t already. Watch new episodes of Hollywood Game Night Thursday nights at 10:00pm EST on NBC! Next Post The Good and The Bad: Quick Reviews of "Whose Line Is It Anyway?" and "Perfect Score"